I traveled to a writer's workshop last weekend called "Pour It Out on the Page," with guest speakers Angela Hunt, Bill Meyers, Nancy Rue, and Kathryn Mackel. 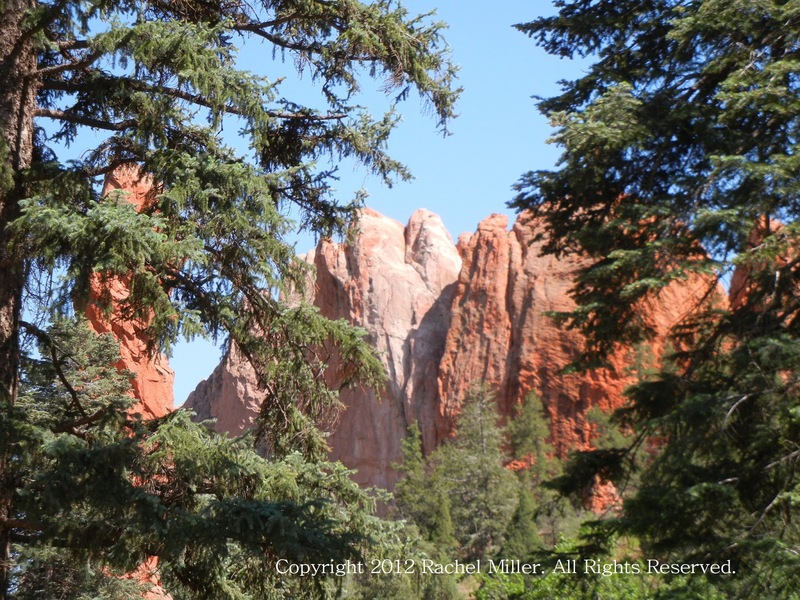 It was a very full weekend, with lots of workshops and a beautiful setting at Glen Eyrie, Colorado Springs, CO. I really recommend the place for any Christian looking for a restful, refreshing getaway, and I recommend the writer's workshop for Christians looking to recharge their writing and get empowerment from fellow Christian authors. There was so much to absorb while I was there, but I think the parts that stuck with me the most were the morning and evening keynote speeches by the guest speaker/authors. This was their opportunity to share their philosophy and beliefs about writing, and all of them spoke about the mission of writers to use their writing to share God's heart with the world, particularly in these dark times, whether through humor or something more serious, or just a positive message of hope in the midst of tragedy. There was pervasive imagery in the speeches at the workshop of God's goodness and anointing filling us up and overflowing in our writing, just as God's Son, Jesus Christ, was God's Word poured out into our lives (John 1:1; Matthew 26: 27-28), so that we could share that blessing with others (Luke 6: 38). I share their feelings. I believe that if you put words out there for others to read (even if you're just tweeting something or posting it on Facebook), you are influencing the world in some way. I've got to hope that it's a positive, godly way. I pray that what Christians write (and myself, in particular) is God's blessing passed on, and not just the usual blandness of the everyday world regurgitated once again for those who have seen too much of that darkness. I know that not every opportunity to write is a time to lay out the Roman Road and stage an altar call, but I do know that every time I write something, I have an opportunity to show the world some virtue or some glimpse of the good things that the Lord has given us. Goodness, kindness, and virtue are novel things in this world, while emptiness and despair are the everyday. I want to remember that, and I want to take this job seriously. I hope my readers will, as well. I recall a blog post I wrote back in 2011 about the power of words. It was called, "Finding the Best Words," and it spoke about the immediate and eternal consequences of our words. I encourage you to read it (no, I'm not selling anything), and of course I encourage you to respond to it. What do you feel is your personal responsibility when it comes to the words you write every day? How does your job or position in life give you a unique message that the hurting world needs to hear?